I have been feeding the birds outside for a few years now. We have a couple bird feeders hanging from our patio. I even got myself a bird book so I could learn about the different species and their names. We have over 20 different types of birds visit our feeder on a daily basis. Some include the usual blue jays, cardinals, sparrows, and woodpeckers. But we also get a few special ones. 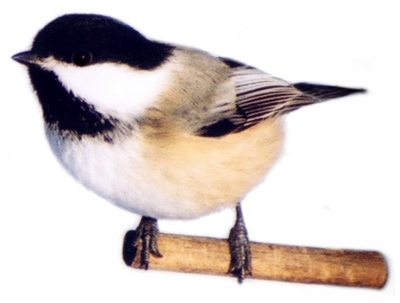 One of my favorites is the tiny little black and white bird called the chickadee. Since we started feeding the birds, we now see that the mice and rats have dug their homes underneath our patio. This has been extremely distressing to me because I am so afraid that they will end up coming in the house and making their home in our walls instead. So, on several occasions over the past few months we have purchased rat poisoning to kill them. This last time while we were at Home Depot looking for rat poison, we came across these neat traps that supposedly we not as inhumane is regular traps. There were 2 plastic trays that had an extremely sticky substance on one side. You are supposed to put food on it and leave it outside for the rats to get stuck in and then dispose of them. Well, I put them out one night and a few hours later noticed that it was raining, so I ran out and grabbed the traps and placed them on top of our small toy shed on our covered patio. I honestly thought nothing of it. We forgot about them up there. My mom was here visiting with us this past week and she went outside with the kids to play and she heard a scratching sound coming from the top of the shed. She went to investigate and found that there were two tiny birds stuck in the traps. One had already died, but the other one was still alive. She tried to rescue it and then waited for my husband and I to get home so we could try. When we got home, my husband got cooking oil and rubbed it into the birds wings to try to get the sticky substance off. But it was no use. The bird was traumatized and didn’t make it. Our kids (3 & 4 yrs old) were asking lots of questions. We decided to have a funeral for the poor birds. We dug a little grave and placed them inside. We sungs hymns while covering the hole with dirt. It was pretty sad, but also kinda cute. 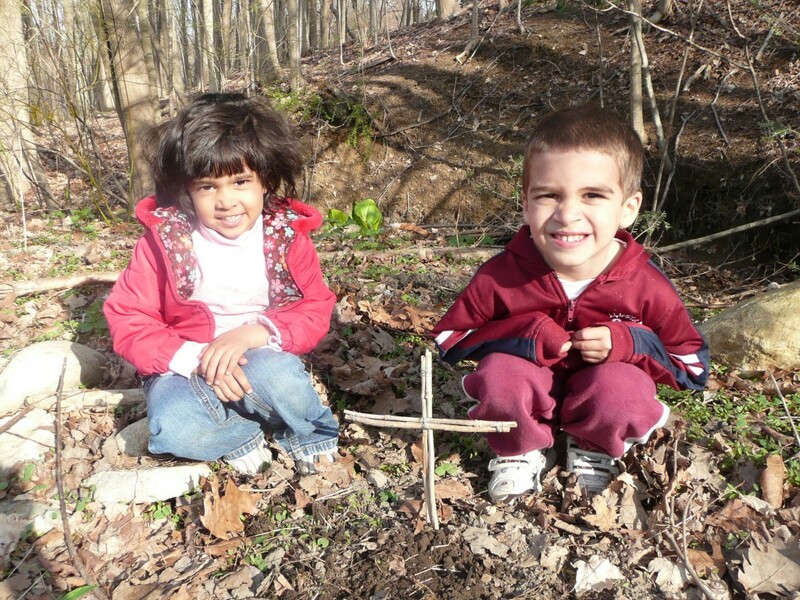 We even made a small cross out of sticks. I am sure some of you are thinking – Wow…really overboard… But I think it is important to talk with our children about death and answer their questions as we know how. My kids asked if the birds were in heaven with their great grandma (GiGi). They asked if the birds could talk in heaven. They also asked why they had to die. I of course had to explain that it was my fault and that it was an accident. I didn’t want to make light of the subject. So, I think having a funeral was a special thing to do and I plan on continuing this if ever we have pets that pass away in the future as well. What do you think? Was it the right thing to do? What would you do? Don’t forget to check out my current giveaways! ONE ONE DAY LEFT TO ENTER! It is so important to show the children that God even cares about 1 sparrow that falls to the earth as it says in His Word. I would have handled it the exact same way! We had to explain to KG today about why babies are allowed to die and what happens to babies when they get to heaven.